Our volunteers help maintain and improve the Penguin Cradle Trail in North West Tasmania. The Trail is a diverse walking track from the township of Penguin on the north coast of Tasmania to the iconic Cradle Mountain. 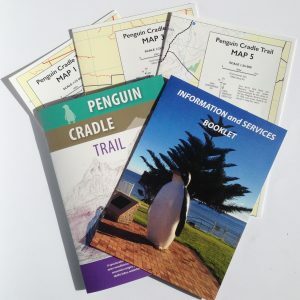 We are a group of volunteers who maintain and improve the Penguin Cradle Trail in North West Tasmania. The Trail is a diverse walking track from the township of Penguin on the north coast of Tasmania to the iconic Cradle Mountain. We also publish a full map and notes for the entire trail. We operate cooperatively alongside the Parks and Wildlife Service, Resource Management and Conservation Division of DPIPWE, private landholders and the Department of Environment as well as recreational groups such as the North West Walking Club. This is another in the series of working bees on the PCT and the last before winter.